ChargeIt by Jay Gold Embossed Charger Plate 14"
Home > Products > ChargeIt by Jay Gold Embossed Charger Plate 14"
Provide customers with a sophisticated and elegant dining experience by presenting food on the ChargeIt by Jay Aristocrat Gold Embossed Round Charger Plate 14". 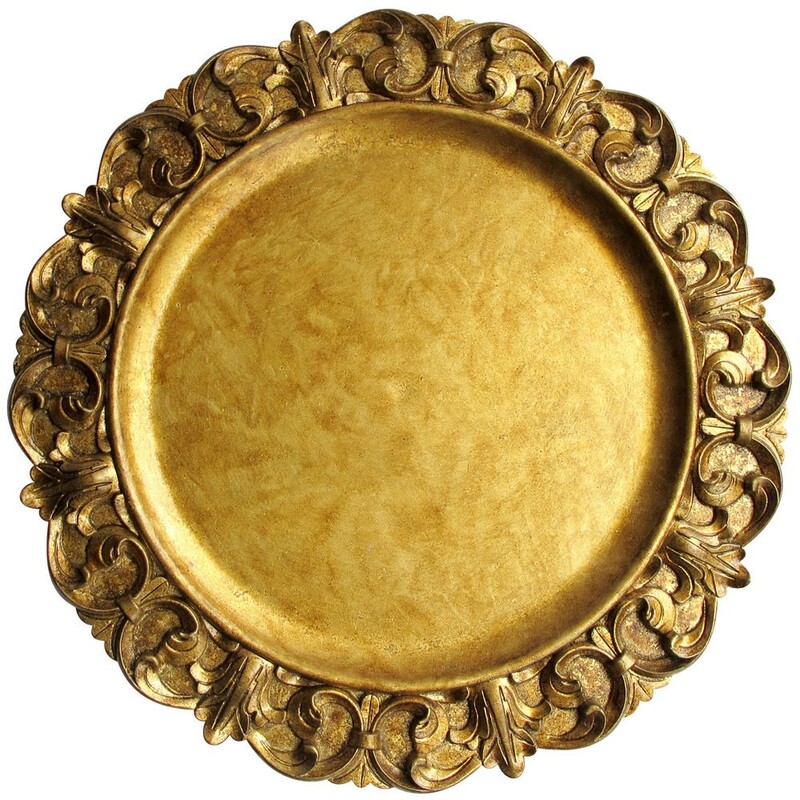 Designed with intricate floral detailing along its rim, this glamorous gold charger plate adds an eye-catching flair to upscale dinner settings. Perfect for wedding ceremonies, high-end parties, and celebratory occasions, this charger plate is made from high quality melamine that boasts superior craftsmanship and unbeatable durability. Combining style, longevity, and functionality, this charger plate not only complements table settings but also provides protection against spills and stains.